Our Vision is to bring a fundamental change to the trading community. We do it by implementing through a more structured trading environment, better trader support services and a larger variety of independent solutions. Are you ready to join our community and be a catalyst for change? Your broker is your link to the world markets. At S5, your broker is not an automated message when you need help the most. It matters when things are running smoothly and it matters more when they are not. As a result, we simply provide the best service possible. Every call matters. Every request matters. Our team consists of a tenacious group of individuals that combines experience, technical knowledge and resolute values. At S5, we base our relationships with our employees, partners and affiliates on a longterm perspective and value-assessment. 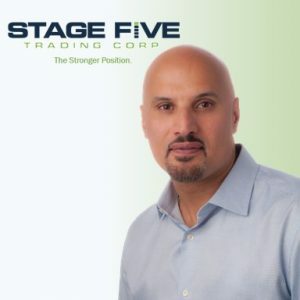 With a combined experience of 20 years in trading, your team at Stage 5 Trading has seen the evolution of the market over time and understands the needs and concerns of traders. 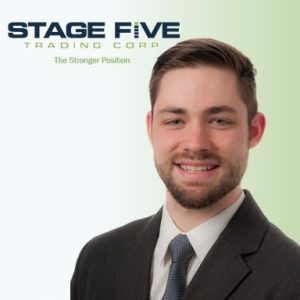 Anthony is the brokerage team leader and a principal of Stage 5. Anthony came into the trading world in 1999 and the derivatives environment in 2003. He and his team will strive to do everything possible to see to it that your brokerage experience is smooth and that your expectations are exceeded. Prior to starting Stage 5 Trading, Anthony was a Senior Broker for Infinity Futures, LLC. Anthony acquired extensive institutional background in the derivatives industry with positions at the Eurex Exchange and the United States Futures Exchange (USFE). At USFE, Anthony was Director of Business Development for new product initiatives. Anthony was responsible for institutional customer relations and sales with Eurex. His proprietary trading experience came while he was a yield curve interest rate futures trader at FCT Group in Chicago. Anthony graduated with a Bachelor of Science degree from Illinois State University with a Major in Finance and a Minor in Economics. In his free time, Anthony enjoys playing tennis and is an avid student of the game! 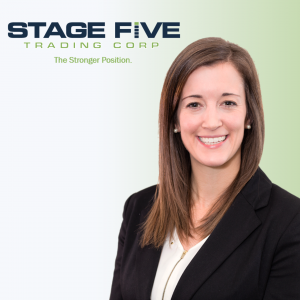 Jenny joins our team as our Director of Operations and a principal of Stage 5. Jenny has very quickly integrated with the team and has taken over as the Chief Compliance Officer, Head of Operations and Head of Human Resources. Prior to joining us, Jenny worked at Vertiport, a unique commercial vertical helicopter landing port in Chicago. She was there at the very beginning and was instrumental in setting up business systems, financial systems, payroll, accounting and vendor management. She implemented human resource policies and procedures and compliance with FAA regulations. Jenny obtained her Bachelor of Science in Organizational Leadership from Purdue University. During her non-work time, Jenny focuses on cross-fit training and is a certifiable fitness fanatic. Max is a dedicated Broker who assists traders in their brokerage goals. 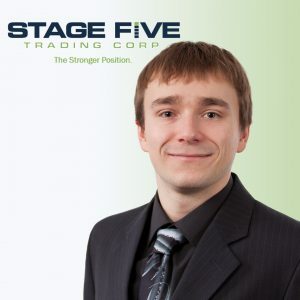 He was Stage 5 Trading’s first intern who worked his way into a fully-licensed Broker position. His passion and expertise in the brokerage business has exceeded the expectations of his colleagues. While at school, Max excelled in such courses as Microstructure, Futures and Options, Text Analysis and Management. He was an active participant in the Finance and Investments group. This was his first encounter with trading which ignited his passion in the industry. Max graduated with a Bachelor of Science in Financial Studies from the University of Illinois in Chicago. Ian is our answer to traders’ demand for more personalized service and support. He joined us as our Client Experience Associate but has rapidly progressed to being a fully-licensed Broker. He handles all aspects of your trading account at Stage 5. Ian is a graduate of Loyola University with a degree in Psychology and minors in Criminal Justice and management. His school work shows that he is truly diligent and hard working. 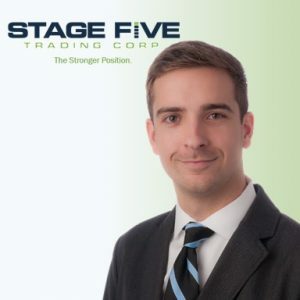 We are beyond excited to have Ian join our team and become a part of your experience at Stage 5. Kevin has earned a Bachelor of Arts in Economics from the University of Illinois at Urbana-Champaign and is a graduate of the class of 2016. He is a member of Delta Tau Delta Fraternity and is a native of the Chicago area. He started with Stage 5 Trading on August 2nd, 2016. Kevin has earned the nickname “Turbo” in our office as a result of the speed with which he responds to our traders’ requests. 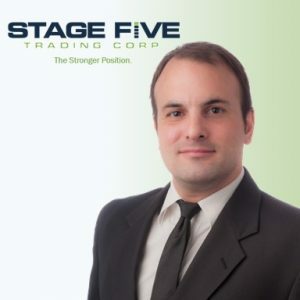 As a fully-licensed Broker, he insures that our traders’ needs are met from the time they decide to do a platform walk-through and all the way through to the point where their new account is approved and ready for trading at Stage 5 Trading. He has a great sense of humor and an appetite for learning. Charles graduated from Purdue University where he Majored in Business Management with Minors in Marketing and Biology. Charles is an enthusiastic member of the community and enjoys golf and serving with non-profit organizations. Before Stage 5 Trading Charles worked in sales and logistics for a fortune 500 orthopedic company. 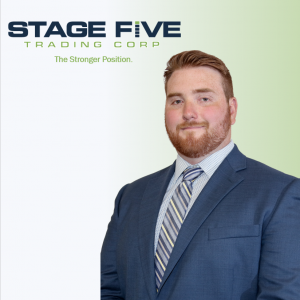 As the newest employee of Stage 5 Charles looks forward to using his previous knowledge to create solutions and provide excellent customer service for his clients. Charles is dedicated to making your trading experience as seamless as possible. Arthur has a bit of a trading background and is very process-oriented. Arthur takes pleasure in solving problems and improving efficiency. He is currently pursing a Bachelor’s Degree in Psychology from Lewis University. He has been with us since the beginning of February of this year and has seen how fast-paced and demanding our industry can be. Arthur trades the FX markets on his own time and has been fascinated by futures for a while. As a Trader Support Specialist, he insures that our traders’ needs are met from the time they start a new application to platform walk-throughs and chasing support issues. He is quick to pick up on the nuances of our business and is eager to help when the time arises. Morad is an independent professional futures trader who provides Trader Development services to Stage 5. He is known online as FuturesTrader71 or FT71. He started trading in 2001 as a SOES scalper focused on high frequency scalping of NASDAQ stocks. After 2 years of scalping equities, Morad moved to Chicago to become a proprietary futures trader at the CBOT. He spent 6 months in intense development and then became a prominent trader in the group and started to train other proprietary traders. 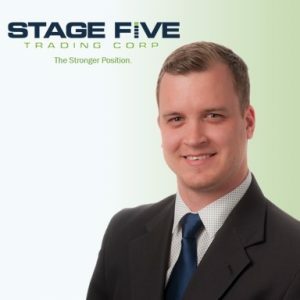 He started his own prop trading firm and focused his attention on building a unique trading environment with teamwork, support and fellowship as the key driving values. Morad is a Eurex Licensed Trader and is a member of the CME group since 2004. In 2009, Morad began to explore the online trading universe and discovered that online traders often did not get the quality support, guidance and solutions they needed. He brings his experience as a prop owner to help create an innovative prop-like solution in brokerage for online traders where continuous education, risk control and a structured community are key. Morad is a recognized pioneer in the use of volume profiling. Morad has a Bachelor’s of Science in Engineering with a Minor in Economics.